Discover the history and science behind global food and drink giants. McDonalds. Coca-Cola. Starbucks. They are the brands we all know and, even if we don't love them, we seemingly can't get enough. But what gives them such mass appeal? How did McDonalds get so big? Did Coca-Cola really cocaine? Why is their a Starbucks on every corner? In this BBC documentary researcher Alex Riley digs into the history and science behind the global phenomenon. Go on the trail of international food and beverage conglomerates and discover how and why they shape our everyday diet decisions. Learn about the billion dollar marketing efforts behind these companies. Does Coca-Cola actually taste better? What is really going on here? Crack the code. Infiltrate the giants. Come and explore the world of these global food and drink titans. 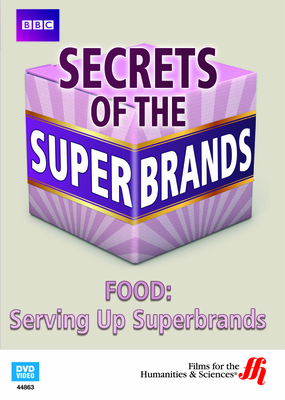 Part of the BBC documentary series Secrets of Superbrands.